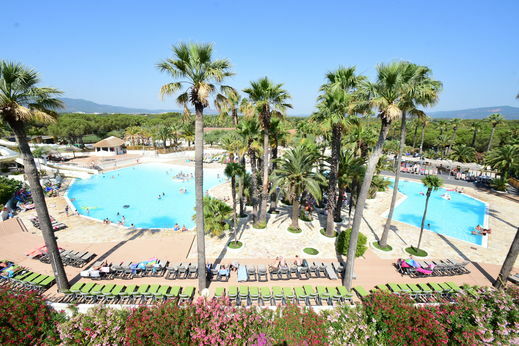 Campsite La Baume - La Palmeraie is located the heart of Provence and a huge 25-hectare green oasis and only 5 km from the beaches of Fréjus. The campsite offers a nice pool area with 4 outdoor pools, 2 heated indoor pools, 8 water slides, 1 fun heated paddling pool for children, 3 hot tubs and 1 steam room. Want to relax? Enjoy our hot tub! The Pitchounclub welcomes all season all children from 4 to 11 years old. Deposit: €215 (excluding the Sunshine Top Presta, the Resort Top Presta and the Resort + Top Presta: €610) - Safe: 4 / day or €20 / week - Cleaning: €65 - Sheets double bed: €12 / bed / change - Sheets single bed: €10 / bed / change - Towel kit: €7 - Baby kit (-18 months): free (on reservation). €50 deposit. - Barbecues on wood or coal are strictly prohibited. Other barbecues allowed only on wooden or tiled terrace. - Pets allowed (except in Sun Top Presta): €6 / day - Wi-Fi: €8 / hour, €27 card for a week - Visitors (more than 2 hours) = €7 for 13 years and older and for €4 - 13 years - Second car: €6 / day - Wearing the campsite bracelet is mandatory for the duration of the stay! Bon camping de bon standing mais presque trop grand. 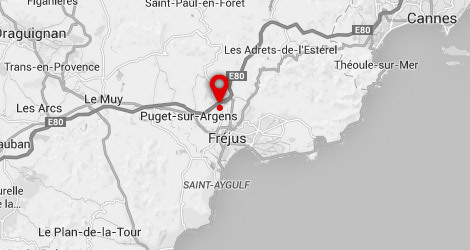 bien arborisé et propre. piscines agréables et bien entretenues. Amelioreer la qualité des mobiles homes, moi qui ai l habitude, l hygiene a l arrivé laisse a desirer mettre des poubelles dans le camping et etre moins les uns sur les autres. Très jolies camping, on ne manque de rien merci cap fun. Pour éviter toutes confusions et d'améliorer la qualité, je vous recommande de faire intervenir une personne qualifié pour faire l'état des lieu d'entrées et sorties.